Already own in Perdido Dunes? Thinking of selling? Click here and read about current search trends & our web network. Perdido Dunes condos are located on the beautiful white-sandy beaches of Perdido Key, Florida. 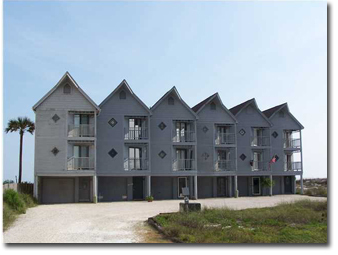 The condos in Perdido Dunes are in the western portion of Perdido Key near the Alabama Gulf Coast and Orange Beach. The Perdido Dunes are across Old River from Ono Island. The Perdido Dunes property is a town home-style condo with two-bedroom units on the Gulf of Mexico. Please let us know if you would like further info for Perdido Dunes or any other condos, homes, or real estate along the Gulf Coast or would like to schedule a private viewing by emailing info@condoinvestment.com or by calling 251-978-3718 for immediate assistance. Read our RENTAL TIPS to maximize your Perdido Dunes rental revenue..
Find info for annual rental income for Perdido Dunes and all other Perdido Key condos.